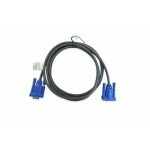 This Item: 5m USB A Male B Male UL2725 AL+B(AM) 28*1P+28#*2C OD=3.5mm black 2L-3205-1NexStar 2.5"/3.5" SATA to USB 3.0 Hard Drive Dock NST-D306S3-YWCo..
Computer-side interface: HDMI KVM-side interface: HDMI Cable length: 5m .. 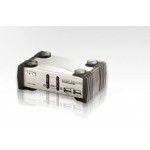 The CS72U 2-Port USB KVM Switch is a desktop control unit that allows users to access two computers from a single KVM console (keyboard and mouse, aud.. 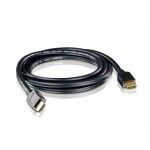 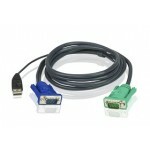 Provides VGA connector (PC, KVM switches and display device) PC connectors: VGA Control terminal connectors: VGA Length: 5m ..
PC Connector: HDB,PS/2 and Audio Console Connector:3 in 1 SPHD (Keyboard/Mouse/Video) Length:3m (Slim) ..
CS1732A 2 Port KVM Switch has built-in USB on each of the front and rear panels and audio signal connectors. 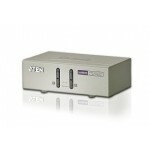 It allows users to control the comput.. 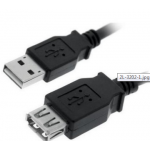 This Item: 2m USB A Male B Male UL2725 AL+B(AM) 28*1P+28#*2C OD=3.5mm black 2L-3202-1POWERCOLOR TURBODUO R9-290 4GD5 OC#184348 R9-290 4GB GD5 TURBODUO..
PC Connector:HDMI Console Connector: HDMI Length:2m .. 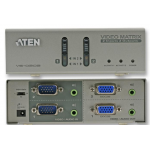 The VS94A is a video splitter that not only duplicates the video signal from any VGA, XGA, SVGA, UXGA, or multisync monitor to four outputs, but also ..
ATEN's new VS0202, Video Matrix Switch, integrates a video switch,video splitter, and audio together in one unit. 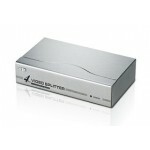 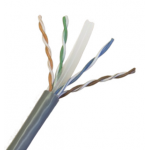 While the usual video splitter can.. 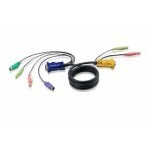 Product FeaturesPC Connector: DVI-D (Dual Link),USB and AudioConsole Connector: DVI-D (Dual Link),USB and Audio Length:3m Specifications ..
PC Connector: HDB & USB Console Connector: 3in1 SPHD(Keyboard/Mouse/Video) Length:1.8m ..